The MTSPA Playground Committee would like to share some terrific news with you. We have recently been awarded a $25,000 grant from the Parks Foundation Calgary! This grant money aids us substantially in reaching our total project cost of $175,000 for our new school playground. Our sincerest thanks to the Parks Foundation Calgary for their support and to Sherry and Tina for all their hard work! I would also like to mention that we are well on our way to meeting the $35,000 that we as parents are responsible for fundraising. Through corporate donations, the sale of SUTP books and our Dance-a-thon pledges we have currently raised $23,987! 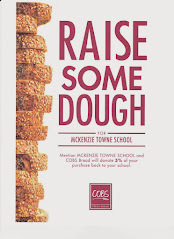 Many thanks to the families of McKenzie Towne School, the Fundraising Committee and the Playground Committee for their outstanding achievements thus far! In early March 2010 we will be applying for a grant worth half the cost of our playground ($87,500), however we need to have $87,500 in our playground account in order to take advantage of this matching grant. Through in-kind volunteer build hours, in-kind services, a negotiated supplier discount and another fundraising event, we hope to meet this deadline. All for a September 2010 playground build! To track our fundraising progress, two thermometers have been added to our website; one for the total cost of the project ($175,000) and one for the $35,000 that we as parents are responsible for fundraising. Let’s continue to work together and watch those thermometers rise! If you have any questions, please email playground@mtsparents.com.